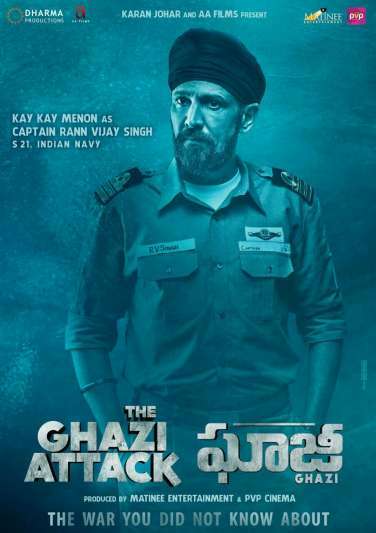 The trailer for Ghazi is out! Called as India’s first war-at-sea film, the movie features great actors like Rana Daggubati, Taapsee Pannu, Om Puri, Nassar, Atul Kulkarni, Kay Kay Menon and more. Most of the newly released trailer featured Rana Daggubati. Taapasee Pannu was hardly seen in the trailer though great things are expected from her after Pink. 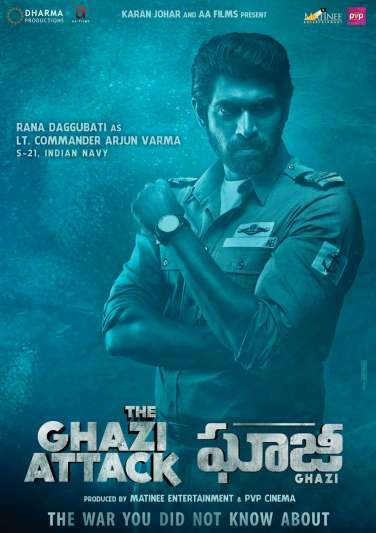 The movie will be releasing in Telugu as Ghazi and in Hindi simultaneously as The Ghazi Attack, jointly produced by AA Films and Dharma Productions. Previously there were rumours that Amitabh Bachchan would voice Rana Daggubati for the Hindi version and Jr NTR for another character in the Telugu version. The movie revolves around Indian naval officers of the Submarine S-21 who had to remain underwater for 18 days for a classified mission. The Indian Submarine S-21 is well known for destroying PNS Ghazi, a Pakistani submarine. Their submarine ventured into the Indian coast with the aim of destroying INS Vikrant and conquering Visakhapatnam Port in 1971. The film will be dear to Telugu audience due to the Vizag connection and to the Hindi audience as it is one of Om Puri’s last films. Ghazi attack is a war that has unsung heros – both men and women – who fought to keep a secret war to keep India and Visakhapatnam safe. The first look of the movie was released on Indian Navy Day and character portraits were used to introduce the characters. Karan Johar tweeted – #TheGhaziAttack releases in theatres on 17th February 2017 Thrilled about this one. Dharma Productions is proud to partner with AA films for The Ghazi Attack – India’s first war-at-sea film! 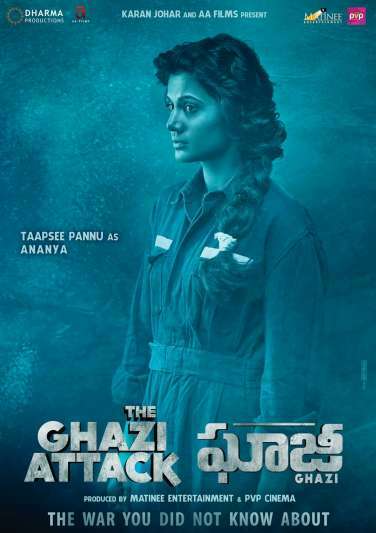 Ghazi is directed by debutant Sankalp Reddy, partly based on his own book, Blue Fish. The Pakistani submarine is said to have sank mysteriously with all the 92 hands on board.